How Do I Choose the Quietest Dishwasher? A quiet dishwasher is especially important if you plan to run your dishwasher at night. After an old noisy dishwasher, a quieter modern dishwasher can be a smart replacement, but choosing the right dishwasher is important. To maintain peace and tranquility in your home, you may opt for a quiet dishwasher. There are a number of factors you should take into account when trying to find the quietest dishwasher. You will want to compare the decibel levels of several dishwashers, and choose one with the lowest. Some other things that you may want to take into consideration are the features, affordability, size, and color of the machine. One of the things that you want to look for when choosing the quietest dishwasher is the decibel (dB) level. This refers to how much noise the dishwasher makes when it is running. Most models will have the dB level printed inside the owner's manual. If this information is not available, or you can't find it, you may need to ask a sales associate for help. Typically the quietest dishwasher will be the one with the lowest dB level. Some noisier dishwashers will have a dB level in the 60s. For comparison, this is about the equivalent to the noise level of a normal conversation. Quieter dishwashers will have a dB level in the lower 40s, which is the equivalent of a quiet, rural setting. Keep in mind that some features on a new dishwasher, although convenient, will actually make the machine louder. A hard food grinding system is one example of this. Although it is very convenient, especially if you would rather not pre-rinse your dishes, this feature will usually not make for the quietest dishwasher. Price is another consideration when purchasing the quietest dishwasher, or any dishwasher for that matter. Whisper-quiet dishwashers will usually cost a little extra money. 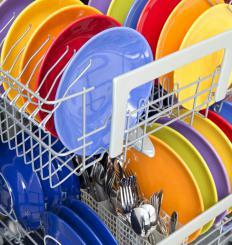 If you run your dishwasher frequently when people are home, however, it may be worth the extra money. On the other hand, if you only run it when no one is home, spending the extra money on a quiet dishwasher may not be worth it. Before choosing any dishwasher, an important detail that some people forget is whether the new machine will fit. It is recommended that you measure the area where the new machine will be installed. You can also choose from a variety of dishwasher colors and styles, but black, white, and stainless steel are a few of the most popular choices. What Is a Double Dishwasher? What Is a Dishwasher Motor? What Are the Pros and Cons of a Stainless Steel Dishwasher? 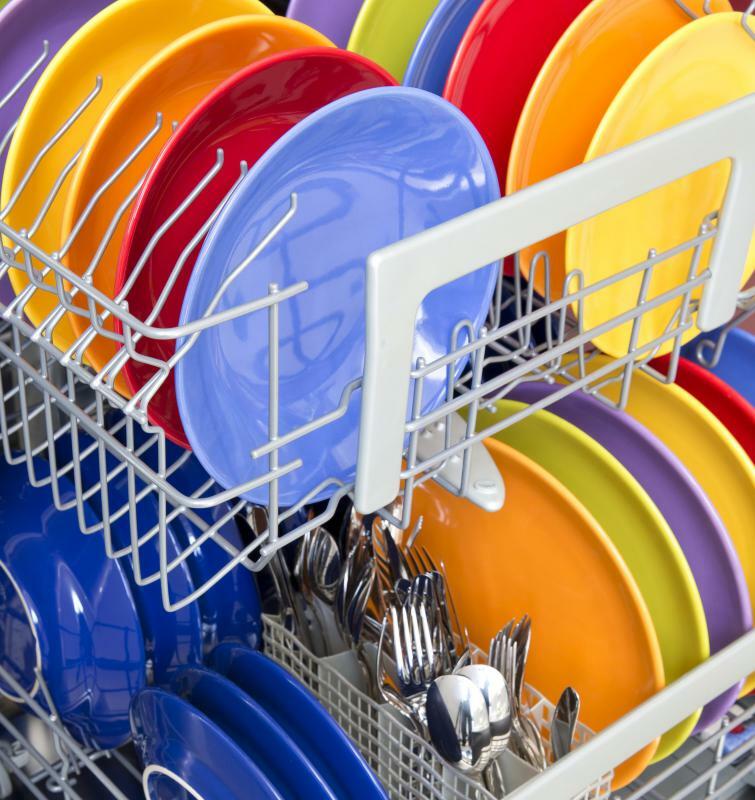 What Are the Different Types of Dishwasher Accessories? What Are the Pros and Cons of Buying a Used Dishwasher? How Do I Choose the Best Dishwasher for an Apartment? What Dishwasher Spare Parts Should I Keep on Hand?